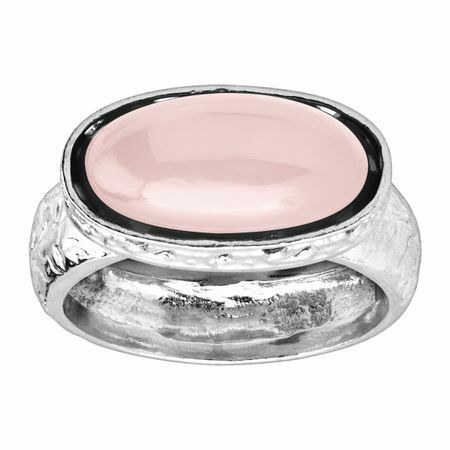 This light pink chalcedony ring is beautifully offset by a bright sterling silver setting, complete with fine etching around the bezel edge for added detail. Ring face measures 3/8 inches in width. Piece comes with a “.925” sterling silver quality stamp as a symbol of guaranteed product quality.